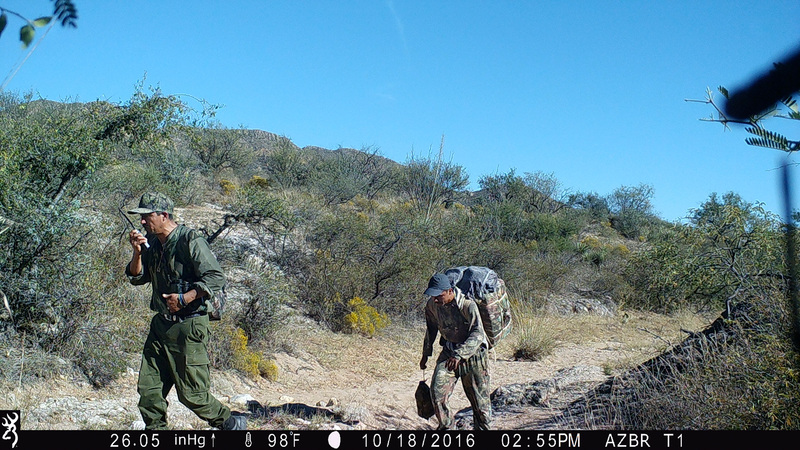 Suspected Cartel drug smugglers crossing into the United States in the Altar Valley in Southern Arizona. The smuggler in the front, uses a radio to commicate to scouts ahead, gathering information about Border Patrol movements. May 7th, 2016.